NEW! Goddess of Motherhood, Magic, Healer & Protection. Egyptian Papyrus Bookmark. Unique, inexpensive gift for mom's, sisters, BFF's! 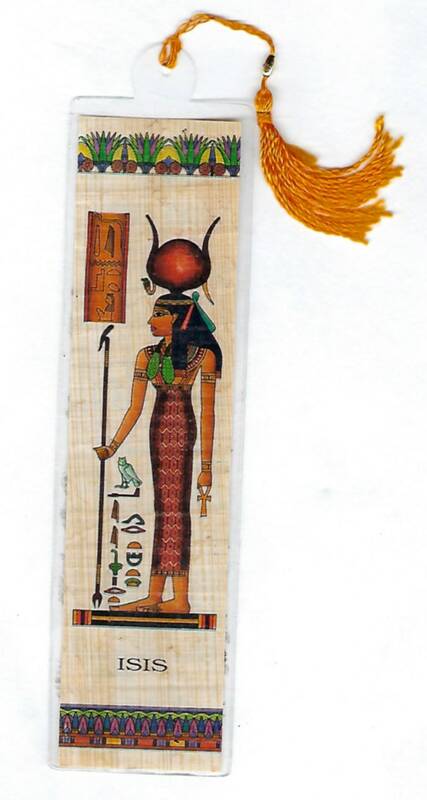 Our Goddess of Motherhood Papyrus bookmark represents motherhood, healing, magic and protector. It is decorated with colorful lotus flowers. The Papyrus bookmark measures 6 1/2 x 1 1/2 inches and comes in a protective plastic sleeve. You will not find these in stores! A unique one of a kind gift imported from Egypt. Oooooooooooohhhh! i really, really like this! Now I need to find a book worthy of this !! !